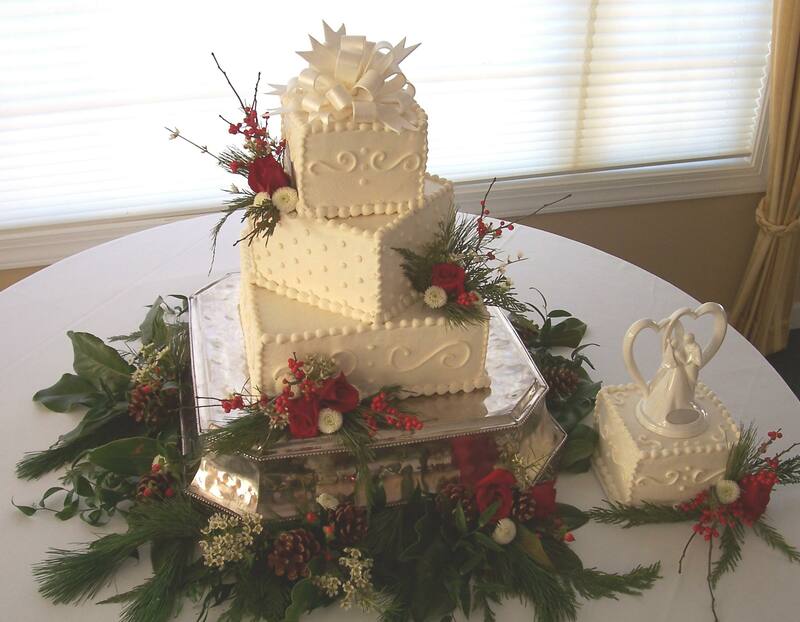 This square 3 tier (6″-8″-12″) off set cake gives the appearance of being much larger than it really is. The silver stand gives it height and the corners of the cake are great for flowers. Using pine, magnolia leaves and red berries with just a few red and white flowers gives you that Christmas look. Topped with a fondant bow. A small extra tier for them to save with their cake ornament is placed to the side.